The Vikings, the bravest warriors of all time do not stop in front of nothing or anyone. They fight fiercely to get the biggest treasures in the World. Join this incredible adventure where anything can happen. Fill up your bag with countless winnings. Runas doors: Get 3 or more Viking helmet symbols to open the Runas doors. Amma is getting closer to the runas carved on the wall and she will ask you to pick one. 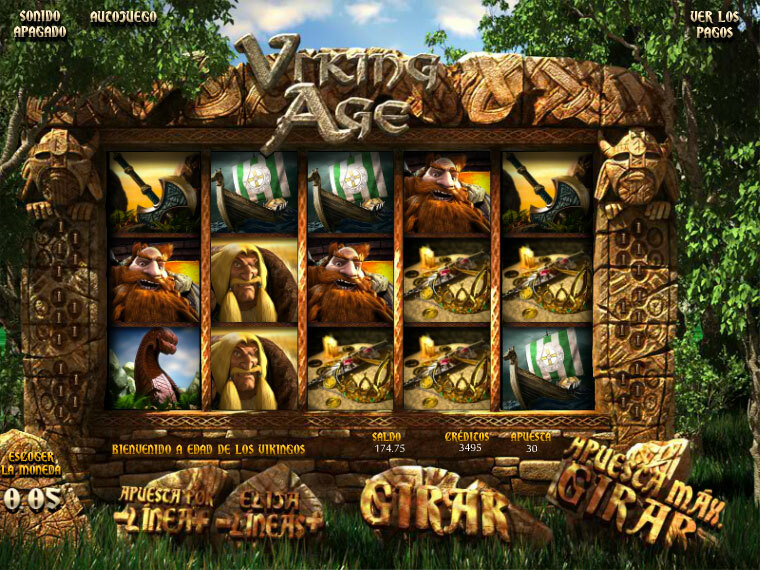 Once you have clicked on it, the door of the runas will open, revealing instant bonus credits, free spins and instant bonus rounds. Multiplier of free spins: Get 3 or more Amma symbols to activate the multiplier of automatic spins. When the multiplier finishes spinning, the line indicators open to reveal the 3 multiplier lines on both sides of the reel. When the reels are turning, the multipliers turn the other way stopping on random numbers. If you get a pay line with two multipliers, then the victory is multiplied by the amount appearing on the multiplier line. 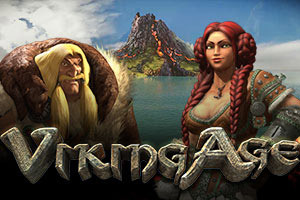 Arm wrestle Bonus Round: If you get 3 or more arm wrestle symbols hand with hand to activate the bonus round, choose Erik or Elgrimm, The Viking you think is going to win the contest after you have chosen your Viking. You have to choose heads or tails to bet on one of them. Each time you get something right, the designated viking comes and hits his opponent. If you win 3 coin flips your Viking will be the winner.